We are leading supplier & stockists of High Tensile Steel Plates of Grades IS 2062 E350 BR, IS 2062 E350 BO, IS 2062 E350C & SAILMA Grade Steel Plates. We also have regular stocking of E410 BR, E410 BO & E410 C Grade plates for special needs. Our client base helps us keep ready stock of International Grade Plates like S355J2N & S355J2G3 Plates as well. 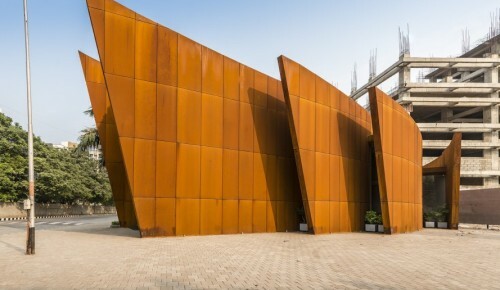 Our subsidiary company Corten Steel India, deals in all types of Weather Resistant Steel & Atmosphere Resistant Steel. 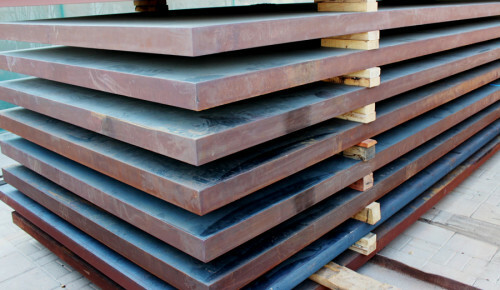 We keep regular stocking of Corten A & Corten B grade steel plates. For our railway vendors, we supply IRSM 41 grade plates for use in Coaches & Containers. We also export plates of Grade BS 4360: WR 50 A & WR 50 B for our International clients. Width: 800mm-3000mm is available. 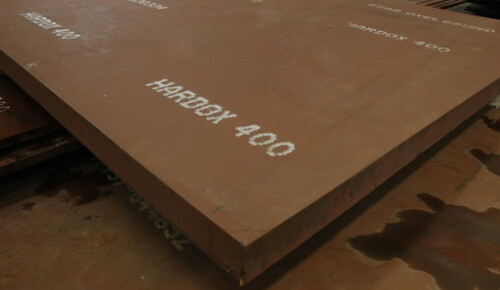 We at Shiv Shakti Steel & Metals are Stockists and Suppliers of high quality Hardox & Abrex Plates. We have regular stocking of Hardox 400, Abrex 400, SumiHard, Weldox 400, Hardox 500, Abrex 500, Weldox 500 & Hardox 450 Grade plates. Our client base includes Excavator & Mining Equipment manufacturing companies. 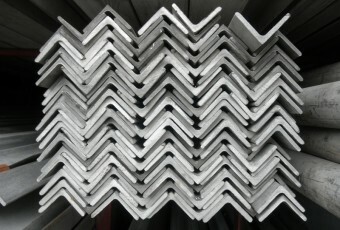 High Yield Steel Plates is our specialty. 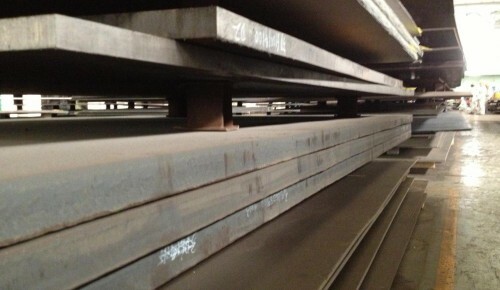 We have huge stocking of S500QL, S550QL, S600QL, S690QL & S700QL Steel Plates available in all widths & sizes. 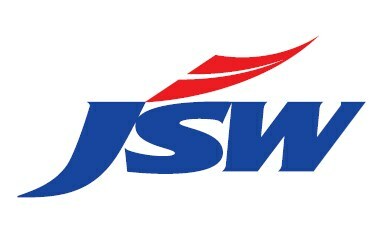 We deal in Imported makes such as Nippon, SSAB, Quard & Indian Makes like ESSAR, Jindal, Etc. Please forward all enquiries you might have. 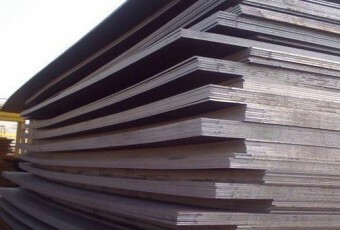 Thick SAILMA PLates of Grades IS 2062 E350 & E250 are available ex-stock. We supply thick plates to our customers accross India for uses across various industries like Mining, Construction, Fabrication, etc. We have thicknesses of IS 2062 Plates: 50mm, 63mm, 70mm, 72mm, 75mm, 80mm, 90mm, 100mm, 130mm, 150mm and more. We are prime suppliers of Boiler Grade Steel Plate also known as BQ Plates. We have stocking of ASTM 516 Grade 70, ASTM 516 Grade 60 and other equivalent Boiler & Pressure Vessel Steel. We also stock plates like P355NL1 & P355NL2 Grade for immediate use of our customers. 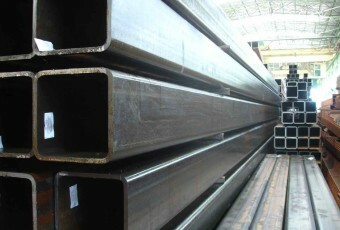 Thickness: 6mm-100mm available ex-stock. 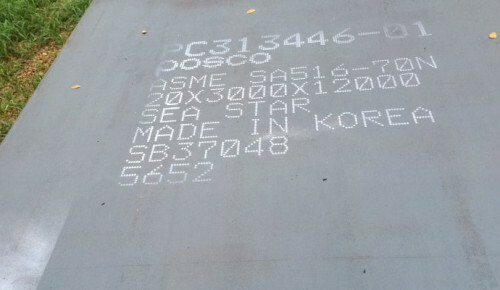 We are importers of POSCO Korea & POSCO Indonesia make steel plates. We can deliver in grades of E250 BR/BO/C and E350 BR/BO/C. 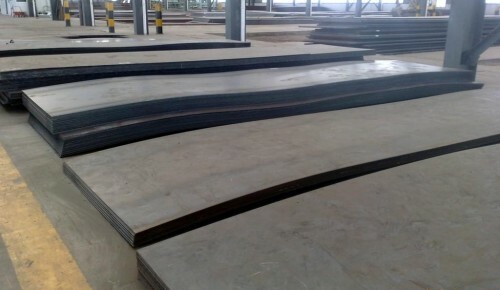 These steel plates are of extremely high quality with 100% UT Pass at 578 Level B. These plates are mainly available in higher thicknesses of 50mm - 130mm. These plates are available ready ex-stock in our Mumbai & Faridabad warehouses. Leading suppliers of High Tensile, High Yield, High Hardness, Weather Resistant and all kinds of Special Steel. 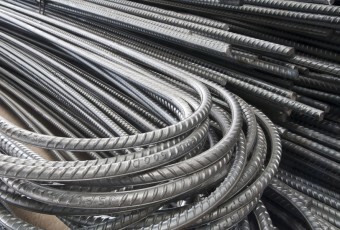 We have the biggest variety of all kinds of iron & Steel Products. You name it, we can deliver all types of high tensile, high yield, high stress & weather resistant steel across India. We have huge stocking of Plates, Sheets, Coils of various manufacturers and make sure no customer is returned. Quality is the utmost thing we care about. Each product is supplied with quality checks and proper MTC is provided. 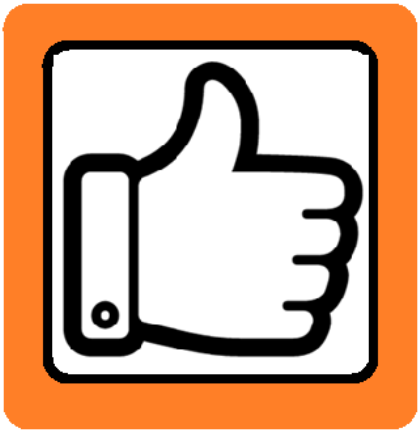 We have been in business from the past 15 Years selling types of Sheet Metal, Coils & Plates to Big OEM customers and receiving accolades of appreciation for our services. Rest assured of the delivery of products at your doorstep within time. We have taken care of it all. 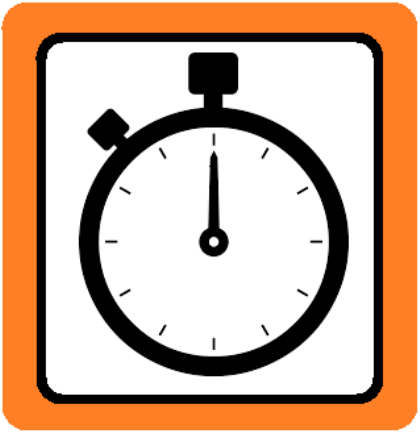 We assure delivery of products before the deadline so the customer is taken care of. 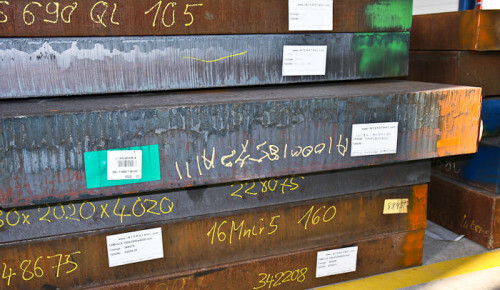 When we supply critical material like S355J2 or S355J2+N or Corten Steel IRSM 41 , timely delivery is first priority. 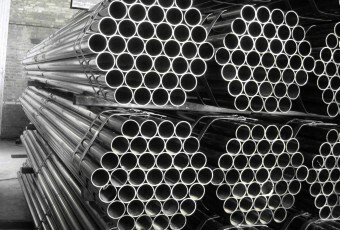 We provide the cheapest and most competitive prices for all steel products. 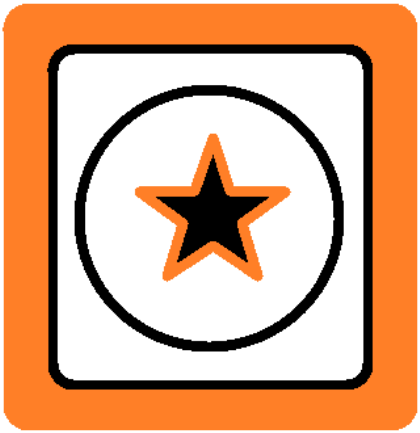 Our Good company repute and regular clients is possible only because of the competitive prices we provide of all the steel plates and products. It is only because of this service and prices that we see repetitive clients. We supply Tested Material with proper Mill Test Certificate (TC). We also supply Oiled, Pickled & Cut-to-Length (CTL) as per your requirements. 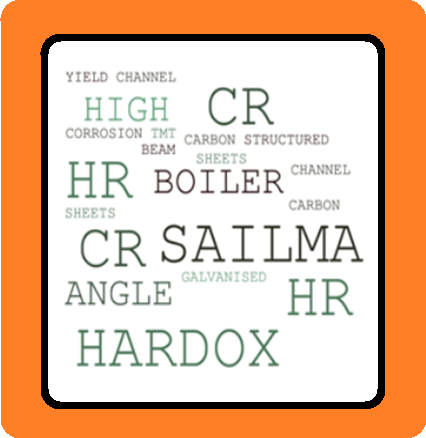 CR, HR, Cut to size CR Sheet Packets, Cheapest HR Sheet suppliers, Galvanized Plain Sheets, GP Coils, GPSP Sheets. TATA CR ED Drawing Material Sheets, EDD CR Drawing, GPSP Steel Sheets, Coils, E250 Cu Grade Steel, Corten Steel, IRSM. Angle, Channel, Beam, Girder, TMT, Sariya, Billet, SAIL TMT, Structural Steel, Chequred Plates, etc.